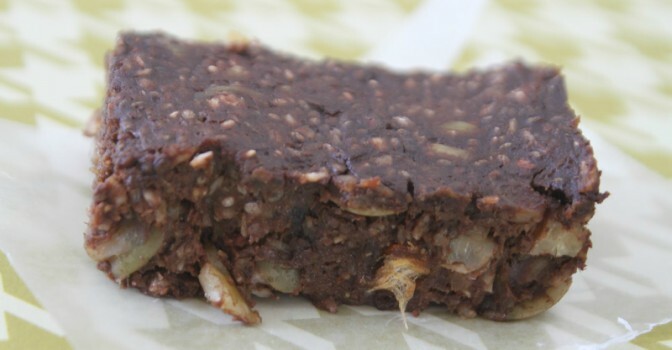 Circle Bars are naturally sweetened gluten-free energy bars. They are the ideal power snack for women on the go, boosting and maintaining energy levels. Circle Bars are naturally sweetened with honey and berries, so active women don’t have to worry about an energy bar that’s booby-trapped with processed or refined sugars. Processed (refined) sugar, (high fructose) corn syrup and sugar alcohols have no place in a healthy energy bar; in fact, they defeat the purpose of eating an energy bar. • Glucose leaks through the walls of the small intestine, prompting your pancreas to produce insulin, a hormone that extracts glucose from your blood and sends it to your cells for energy. A high-sugar snack floods your body with glucose, leading you to a quick high, which your brain combats by releasing serotonin, sparking a sugar crash. • Insulin prohibits the production of leptin, a hormone that signals your brain that you’re full; the higher your insulin levels, the hungrier you will feel. The brain directs the ‘starving’ body to store glucose as stomach fat. • Insulin floods the brain as well, leading it to produce less dopamine. Dopamine is a neurotransmitter that regulates the brain’s reward and pleasure centers. Dopamine also helps regulate our movement and emotional responses; it also allows us to recognize and strive for rewards. Lower levels of dopamine may cause addictive behaviors; dopamine deficiency has also been linked to Parkinson’s disease. • Finally, if you continue eating sugary snacks and foods your pancreas pumps out so much insulin that your cells develop insulin resistance, leaving you with excess glucose in your blood and pre-diabetes. Eventually, you may reach the point of no return: full-blown diabetes. • As for fructose, it is also absorbed through your small intestine and then expelled into the blood stream, which transports fructose directly to your liver. • Your liver tries to process fructose into energy, but a surplus of fructose triggers the growth of fat pods throughout the liver, leading to fatty liver disease. • Excess fructose also lowers HDL, or “good” cholesterol, stimulating the production of triglycerides, a type of fat that travels from the liver to the arteries, raising your risk of a heart attack or stroke. • At this point your liver sends a request for more insulin, taxing your pancreas and possibly triggering mass inflammation, which can lead to a myriad of diseases, including obesity and diabetes. IS IT A GOOD IDEA TO EAT PROTEIN BARS? ARE ENERGY BARS REALLY GOOD FOR YOU? What’s the Big Deal about Wild Rice?